On their self-titled, debut full-length, Tri-Polar, fronted by former Everclear bassist Craig Montoya, deliver plenty of powerful rock on this eleven track collection of songs that combine the influences of AC/DC (they even cover AC/DC's "Walk All Over You") with a love of Motorhead and arena rock. Though, Montoya, from a decade of keeping a multi-platinum band rocking, knows how to retain energy with hooks, ensuring that Tri-Polar songs blow you away - yet make you want to sing along, too. From the opening, "Where Do We Go", Montoya finds his voice, a solid, sturdy snarl that pulls no punches, but is also clear, leaving you understanding what he is growling. The song itself is the perfect intro to Tri-Polar, and a song that sums up the record well. Drummer Brian Lefheldt delivers a brutal, hard backing to the song while the guitars slice through you, soaring high and mighty. In this bed of noise, Montoya consistently keeps the melody present. And when the chorus hits, like the best choruses, you start singing along with them, asking "Where Do We Go"? One of Tri-Polar's best assets, besides Montoya's made-for-loud-rock voice, is this ability to kick out the jams, get you pumping and all worked up, but still keep your mind on the music as you, consciously or subconsciously, get reeled in and sing along. "If This Wreck Will Roll" drives home the heavy metal aspect of the band. Co-written by Montoya's roommate, Geoff Templeton (who originally wrote the song as a country number), Montoya and Tri-Polar turn up the heat as they turn up the volume. "Cutters" is one of the album's weaker moments, the noise evaporating the structure of the song, making the song sound nu-metal than rock 'n' roll. That said, Montoya's voice and energy save the song, and former guitarist Scott Heard (who left the band prior to the album's release) compliments it well with good guitar playing and a backing voice that gives the song a bit more depth. The song does serve a great purpose on the record, though. It is the lead-in track for Tri-Polar's most explosive song, "Puppets", a song about the new boy bands: boy bands with guitars (any pretty-faced "punk" band you see on MTV these days). But, that is not why it is so explosive. With lines like "Such a slave to the system, yeah yeah. It's so clear, so ever clear me," it feels like an almost cathartic release for Montoya, who parted ways with Everclear as he moved into a more rock 'n' roll direction. Including the hard-hitting verses and sing-along choruses that make Tri-Polar an undeniably fierce force to reckon with, "Puppets" is one of the album's lyrical and musical highlights as it showcases both wit and talent in a dynamic way. 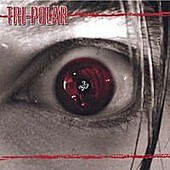 Wit and humor are also an important part of Tri-Polar, who's "Wigga Please" (sang by Heard) gives the album a punk number, the group melding fast-paced, knuckle-busting punk with their hard rock hearts. Ending with the AC/DC cover, Tri-Polar goes out in style, making sure that everyone knows that this is the real deal. A rock 'n' roll record that can sit next to a band like Queens of the Stone Age and mirror it in sheer volume and power, but also stand tall against the kings of arena rock and contend with them for substance and talent. After one listen to Tri-Polar, Montoya leaves nobody wondering why he had to go and start his own band. Rock 'n' roll is in his blood, and this record is bloody. I'll give it an A-.